Come join us at All That Scraps Wednesdays Challenge... this time, we want you to incorporate PAPER PIECING on your project! 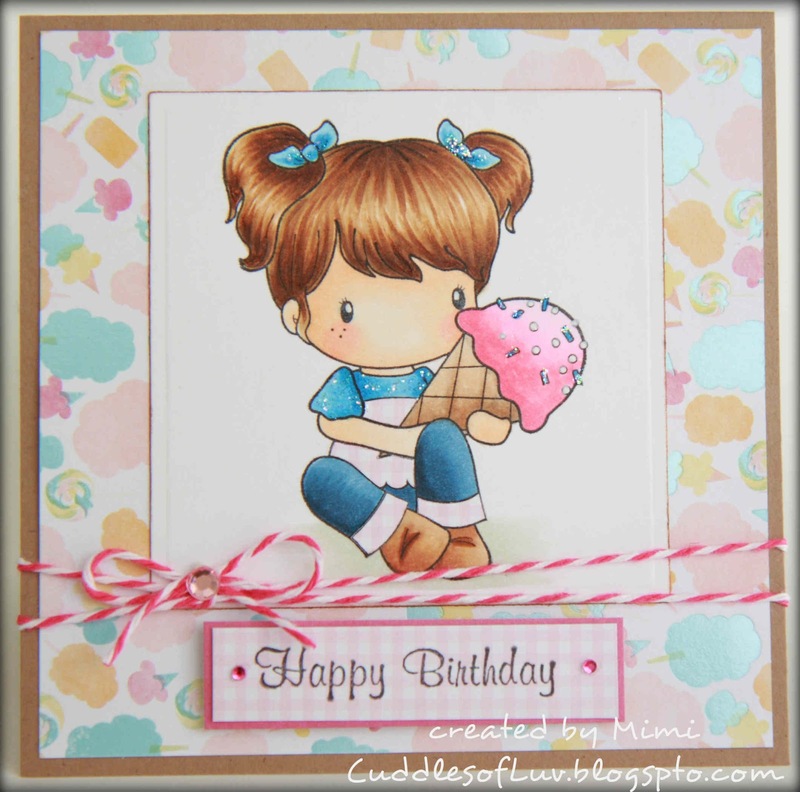 I have Ice Cream Lucy from the new July release of CC Design Stamps and Amy R's Birthday Sentiments, both are available at the All That Scraps store! Lucy here is just so adorable with her giant ice cream! I've paper pieced and copic colored her outfit. Didn't show up too well on the pic, but her the pink on her outfit is actually pink gingham paper from SEI collections. The ice cream and cotton candy background paper is also from SEI's A Fair Day paper pack. Added some twine, gem, and stickles glitter to finish it off! Stop by the ATS Challenge blog to see what fabulous creations the team has to share. Follow the few simple rules to play along, and you can be the lucky winner of 3 CC Design Stamps!! This is too cute! 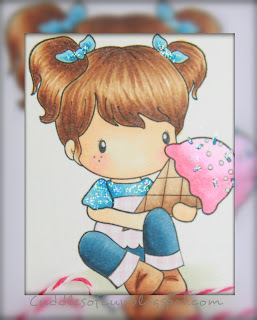 Love her with the ice cream and the sweet colors! Hope you're having a great week! super cute!! great coloring on her hair! girl, this is sooo cute! love how you colored her up and the paper piecing is fantastik! !